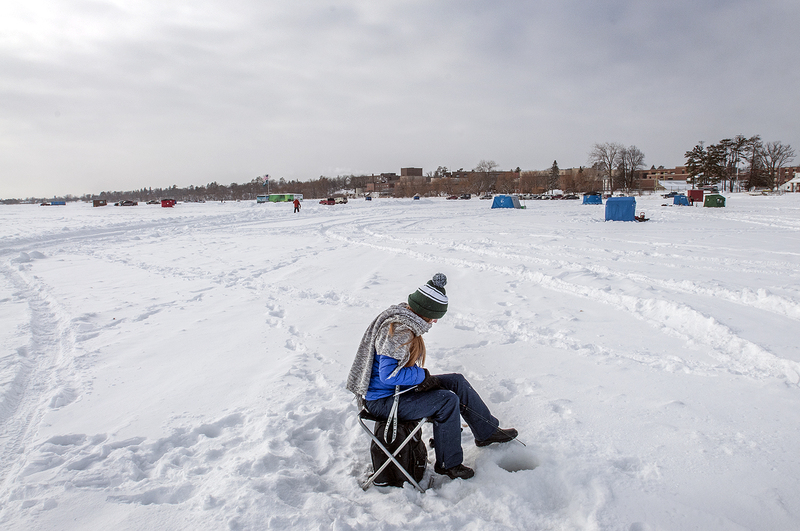 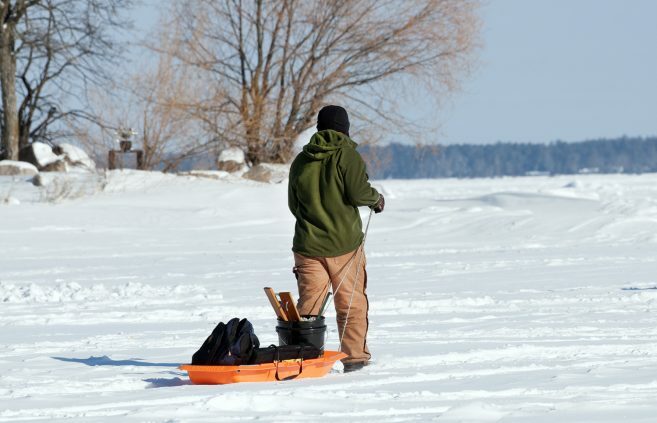 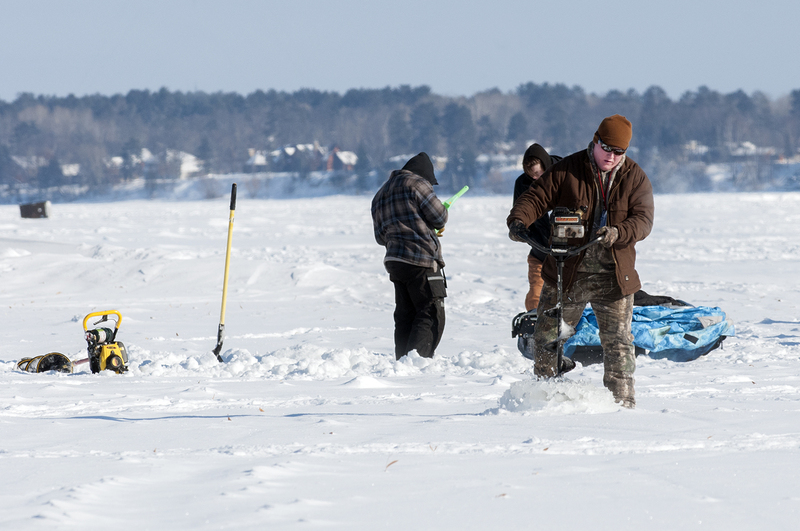 Participants enjoy ice fishing on Lake Bemidji. 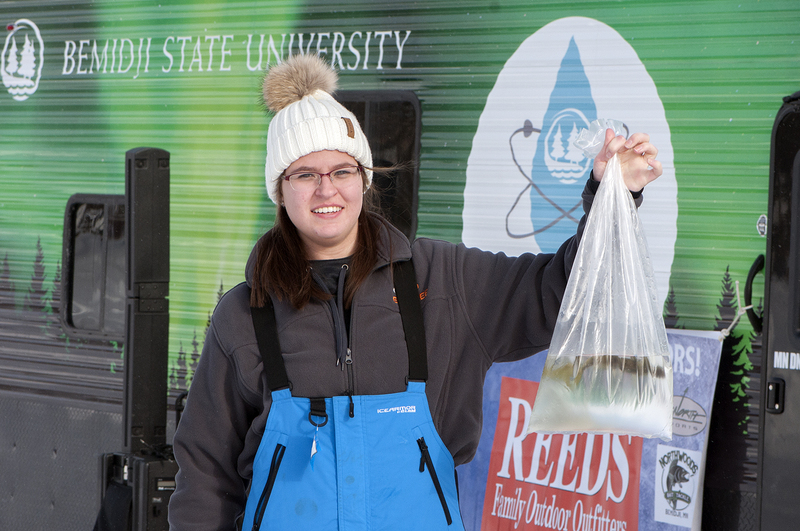 A participant showing off her catch of the day. 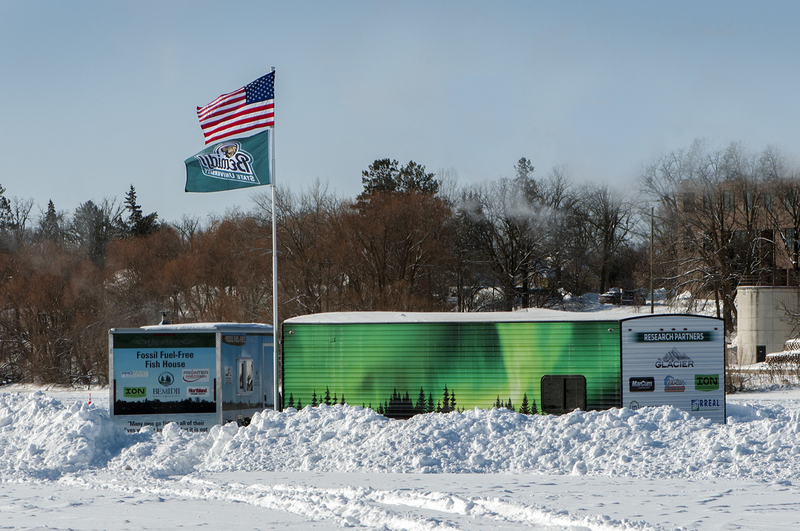 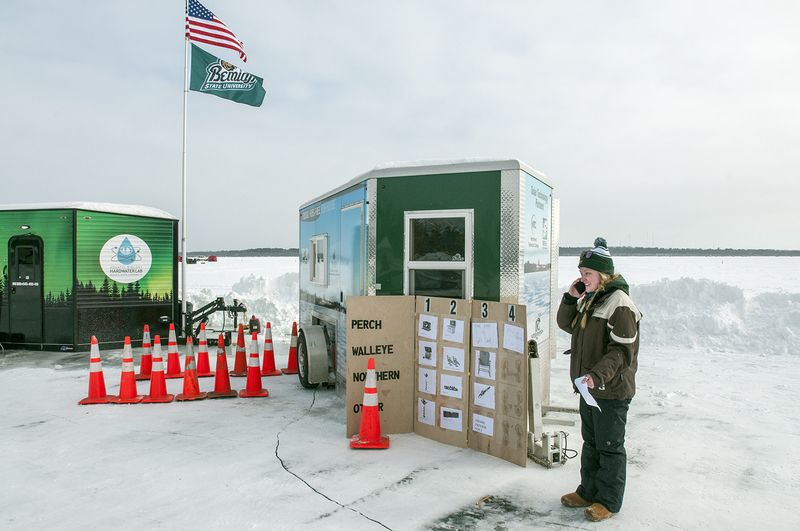 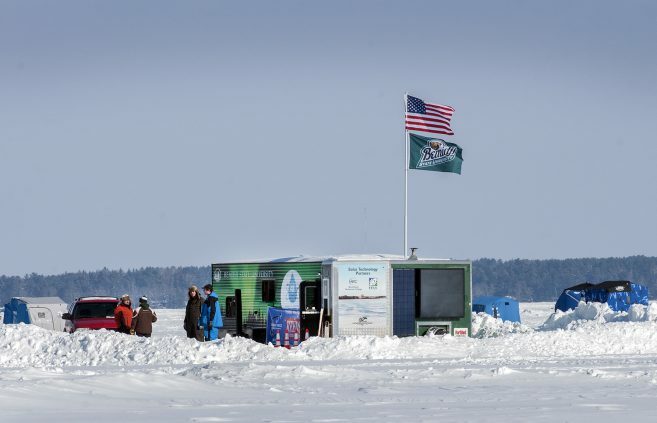 Bemidji State University’s Fossil Fuel-Free Fish House and Hardwater Ice Lab provided shelter at the event. Participants weigh and measure fish inside BSU’s the Fossil Fuel- Free Fish House. 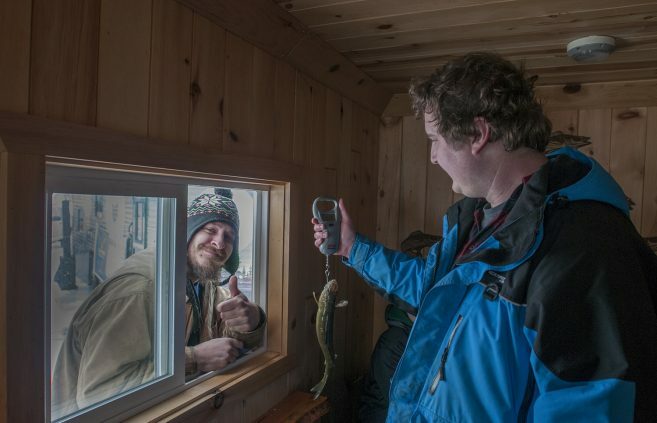 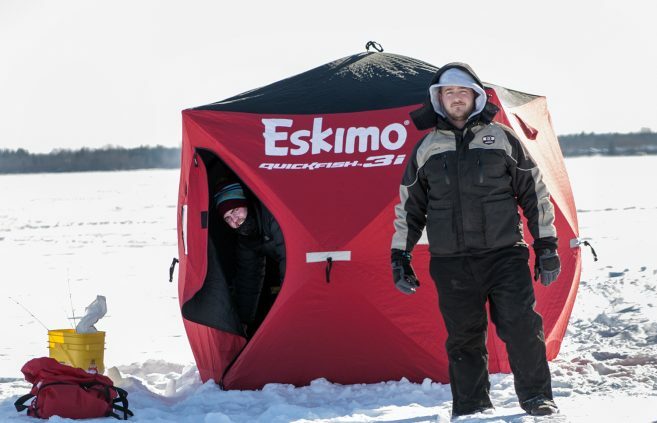 Area ice fishing enthusiasts gathered at Bemidji’s Diamond Point Park on Jan. 26 to participate in the third annual student-run “Beaver Freeze” tournament, co-hosted by Bemidji State University’s Outdoor Program Center and Department of Campus Recreation. 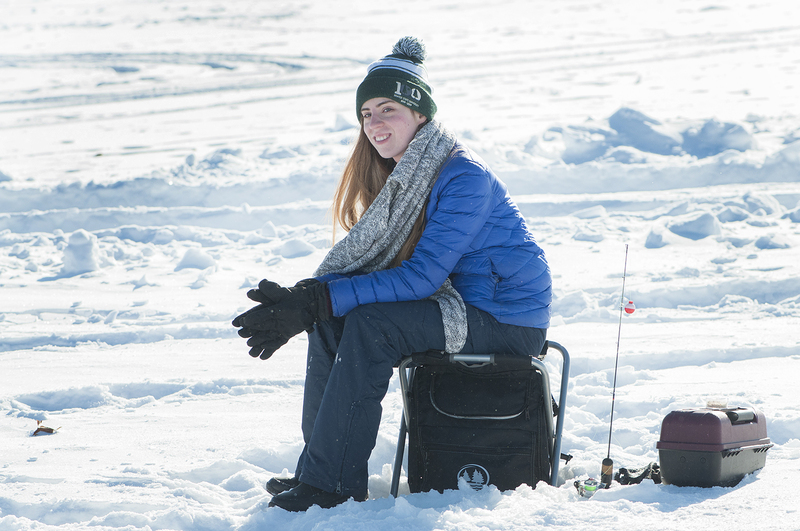 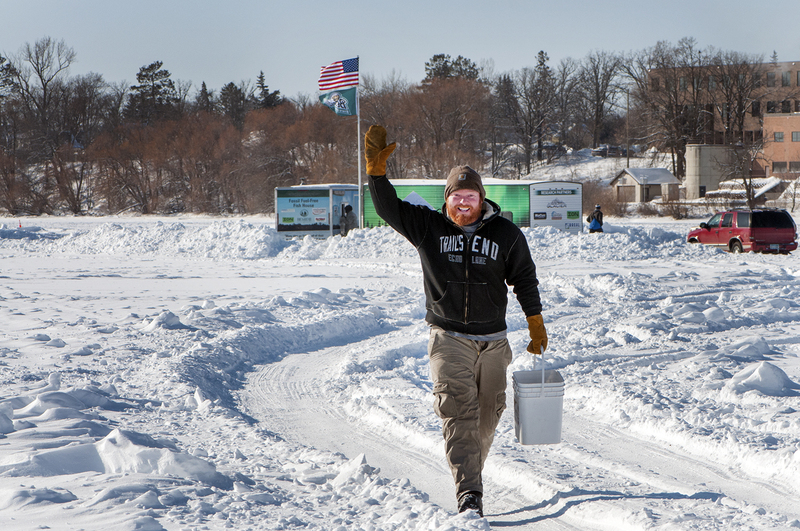 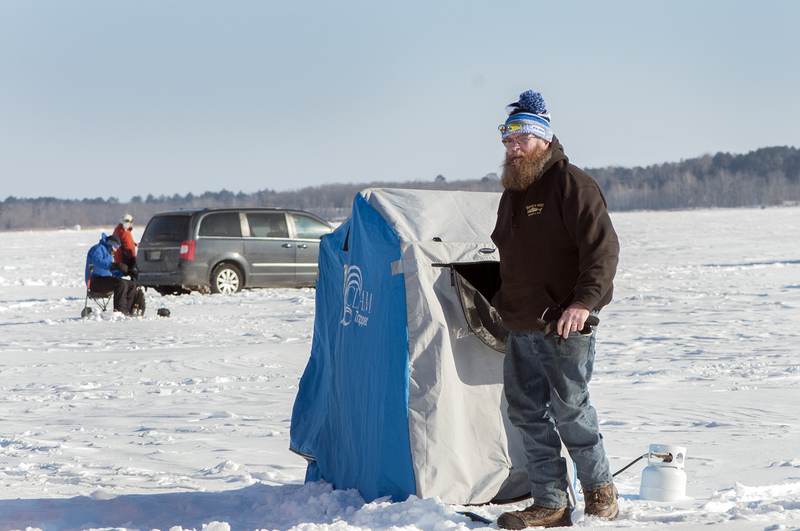 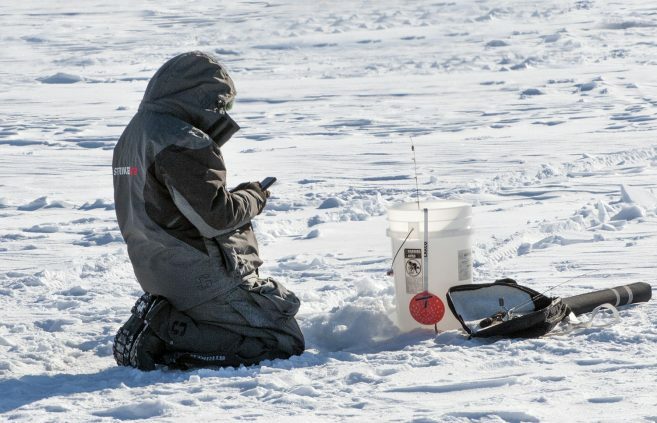 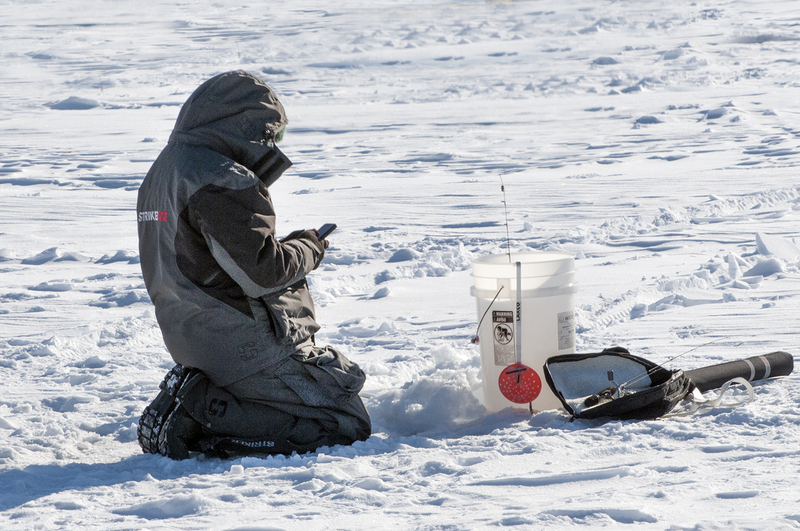 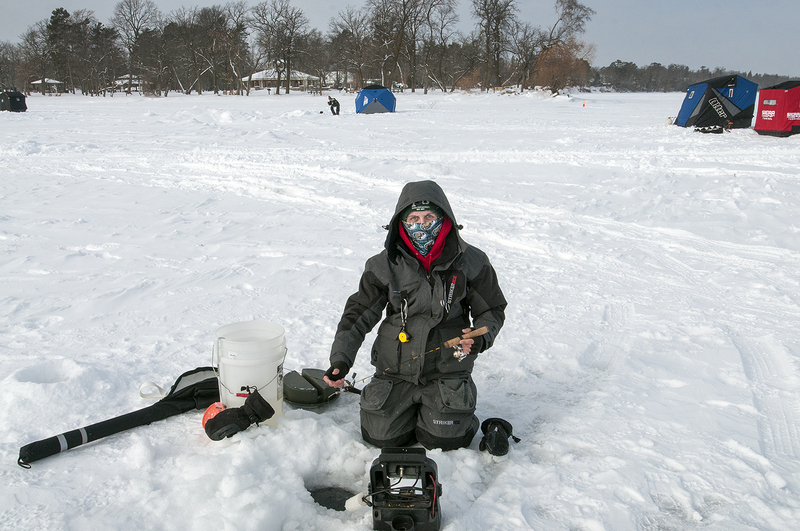 Baylee Johnson, a senior aquatic biology student from Bemidji, Minn. helped establish the Beaver Freeze in 2017 and worked with Bemidji State’s American Fisheries Society to coordinate the 2019 event. This year’s event drew 95 participants. 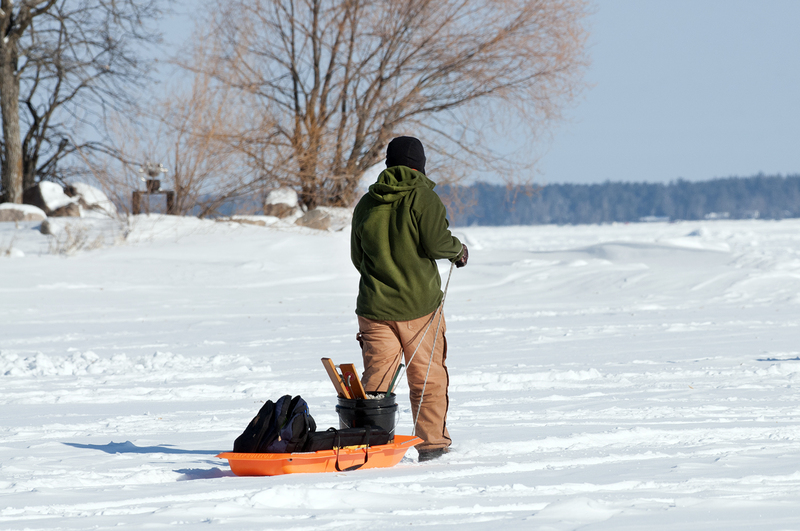 85 fish were registered with the largest being a 4.2 pound Northern Pike.